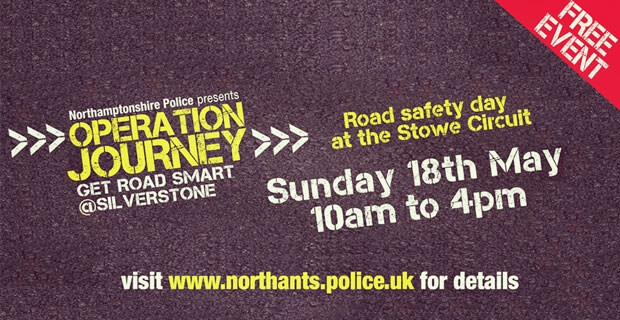 The Northamptonshire Police, Fire and Rescue Service and Highways department have come together to organise Get Road Smart at Silverstone—a road safety event that aims to increase residents’ road safety awareness. It is part of Operation Journey, a campaign set up by Northamptonshire Police to make the county’s roads the safest in the country. The event is free and all are welcome. It will be held at the Silverstone circuit in south Northamptonshire on Sunday 18th May from 10am-4pm. It will feature many guest speakers including our very own Simon Rewell, Road Safety Manager at Insure The Box Limited. Visit www.northants.police.uk for more details..